A few months ago, while in New York City meeting with various clients and sponsors, I met with the fine folks over at Popular Photography magazine. I showed them my portfolio and this wave image in my portfolio wowed them. 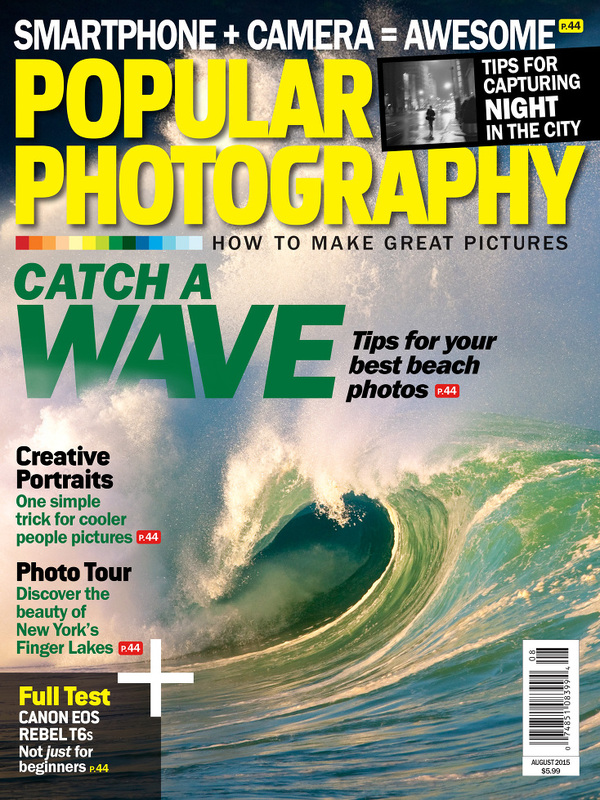 Amazingly, just a few months later, this image (as seen below) is on the cover of the August 2015 issue of Popular Photography. 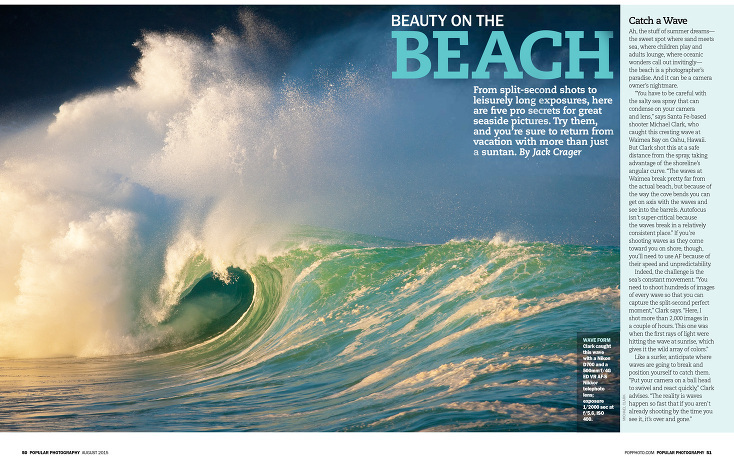 They also used the image inside the magazine as a double page spread in an article on shooting at the beach. This image was shot the day before the last Quiksilver in memory of Eddie Eikau big wave surf contest in December 2009, where the waves at Waimea Bay on the north shore of Oahu were close to 60-feet tall. This wave was only ten or twelve feet tall since it was one of the waves that reform about 60 feet in front of the beach. The rising sun had just hit the wave when this image was shot. Hence, all of the wild green and blue colors in the image. This image has been published a fair bit and even won an award in the 2011 PDN Great Outdoor Photo Competition. My thanks to Popular Photography for choosing my image and using it on the cover!